British Ski Instructors not welcome in the French Alps? Not True! Home » Blog » British Ski Instructors not welcome in the French Alps? Not True! 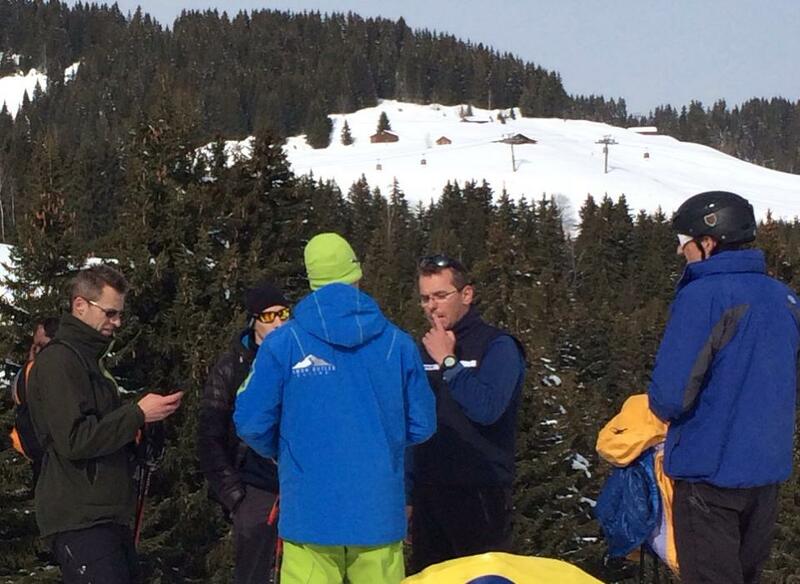 The British press including the Daily Telegraph and the Daily Mail have carried articles on the arrest of a British ski instructor, Simon Butler, at the resort of Megeve, Haute Savoie. He will appear in court on the 7th April. The articles have been verging on the xenophobic and are quite misleading. To debunk the myth that British ski instructors are not welcome in the [French] Alps you should note there are currently a large number of British instructors operating entirely legally in France with absolutely no issues with the French authorities or indeed their French colleagues. These instructors hold BASIs highest qualification “Level 4 – International Ski Teacher Diploma (ISTD)” This gives mutual recognition in various alpine nations including France. Simon Butler is apparently no stranger to the French courts. He has already been convicted by the court in Bonneville, Haute-Savoie in 2004 and fined 10,000 Euro. In 2013 he was convicted again. This time he was found guilty and give a 6 month prison sentence and a 10,000 Euro fine which he appealed and has not yet been heard on appeal. To help to understand his arrest it is helpful to understand the cultural and legal framework in France. In France the profession of ski instructor (and other sports professionals including mountain guides, mountain walking leaders, rock climbing instructors, kayak instructors, etc, are “regulated” professions. As such you are required to hold the relevant French qualification or it’s recognised equivalent. Sports professionals (i.e. working for payment, whether in cash or kind) are further required to declare themselves to the French sports ministry. This is the same irrespective of nationality. The ministry officials will examine the declaration and assuming all is in order issue a “Carte Professionnelle”. This professional licence gives details of the qualifications you hold and is requested when checks are carried out by ministry officials, supported by the gendarmerie, or following an accident. The penalties for not doing so are quite dissuasive; one years imprisonment or up to a 15000 Euro fine or both. One of the principles of the European Union is “freedom of movement”. The main EU Directive that enshrines this is EU-2005/36/EU. This however is not a “carte blanche” to simply go and start working within another EU state without complying with relevant administrative procedures. As an EU national one applies either for “Freedom of Establishment” where one wants to establish a permanent presence on French territory or “Freedom to Provide Services” where the activity on French territory is of a temporary, or occasional, nature. In respect of sports professionals the local sports ministry officials will then (providing the qualifications and professional experience is deemed sufficient) issue the appropriate authorisation – a “carte professionnelle”. A profession is said to be regulated when access and exercise is subject to the possession of a specific professional qualification. (In the UK the “profession” of ski instructor is not a regulated profession). If the authorities of the host country find significant differences between the training acquired in your country of origin (including your professional experience) and that required for the same work in the host country, they may ask you to complete a traineeship or aptitude test. In the case in question the agreed test is the “Eurotest”. The Eurotest is a timed GS Slalom. The Code de Sport defines certain situations to be an “environnement specifique”. In these cases it is deemed that particular safety measures are needed. However it doesn’t go on to define this term. There are several sports / activities that are classed as being in such an environnement including skiing. The Sports ministry has clarified this as being where there is the real possibility of a serious accident (taking into account accident statistics) and how easy or otherwise, it is to evacuate an injured person.